Beyond These Dark Lands Are Edges Of Joy: A Poet's Reflection on His Poem, Crucible, a Poem of Intelligence Over Feelings. A Poet's Reflection on His Poem, Crucible, a Poem of Intelligence Over Feelings. 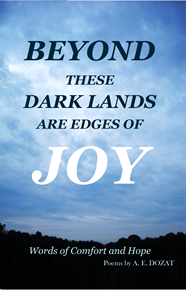 Crucible is the second poem in the book of poems titled, Beyond These Dark Lands Are Edges of Joy. It is the first poem of Chapter 1. 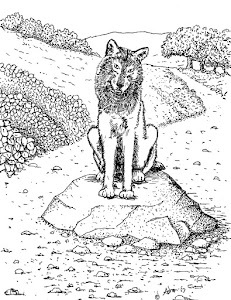 It is the second poem in the book because another poem is used as a prologue to the collection. I wrote this poem to inspire people who are going through hard times to consider the ultimate question of God's goodness. I wanted to guide them to see that God is still good even when times are not. Every poem was carefully considered before adding it to this collection, and this was no exception. Now I realize that no other poem could take its place because it introduces key thoughts that are foundational to the rest of the book. I do not remember how I decided that this poem should be the first. I spread the pages over the dining table and made stacks for each chapter, I moved poems from one stack to another and then shuffled the order so that each chapter had variety while keeping similar poems separated. I thought that Crucible would make as good a beginning as any other. Now I see that this one is so important and foundational it had to be Chapter 1 page 1. It must have been placed there by the hand of God. A crucible is an iron kettle used to melt metals in intense heat to burn off the impurities so that the metal left will be more valuable, pure, and useful. The title of this poem says that our hardships are a crucible and that our imperfections are being purged in the fire. I know it is not a very original title and many have used it before, but I thought about it for a long time and could not come up with a better title. The subtitle, "A Poem of Intelligence Over Feelings," needs to be seen in view of the poem, (sorry, you need to read the poem to fully appreciate it). This poem is one long sentence. Each phrase is arranged on its own line, this forces the reader to consider the statements one at a time instead of reading the poem as a whole. It opens with a list of disappointments that we may face like an unfulfilled desire, a need for rescue, or for healing. Next the phrase "Then you are facing that critical collision..." introduces that action is needed because we have come to "a place of decision." The concluding phrase explains what that decision is. I wanted the reader to face God from the very beginning. In every trial, we are faced with questions of God, questions of His goodness, His power, or His will. This is the collision of faith and life which we must resolve. This is why I gave it the subtitle of A Poem of Intelligence Over Feelings. The question of God is answered with an intelligent act of will and leads us to make a faith decision. In every struggle and trial, we make a decision regarding God. There is no going on without the answer to the question of God. 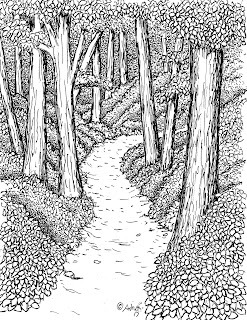 Almost all the illustrations in the book have a road or path to give the book visual unity. 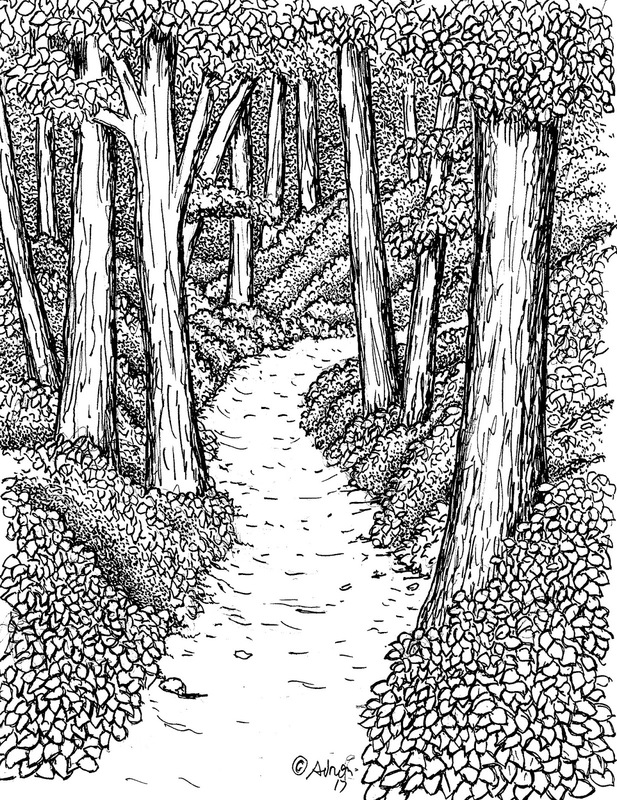 I drew road through a dark wooded area for this poem. You might ask why didn't I draw a kettle but I thought it would have been too obvious. You can read the poem, Crucible, a Poem of Intelligence Over Feelings in my book Beyond these Dark Lands Are Edges Of Joy, which you can purchase for $9.62 plus shipping, use the Buy Now button below. If you are in need of encouragement or know someone who does you should order a copy today, you will glad to have this book. Use the Buy Now button for quick check out.